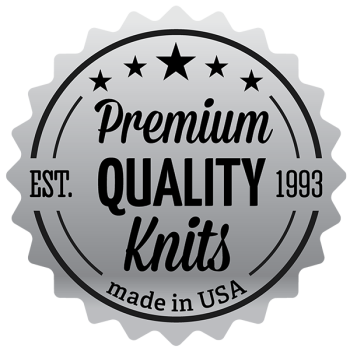 Unitex was established in 1993 by two founders Chris & Raymond, with one goal in mind, to develop and produce premium quality knitted fabrics made in the USA. Over the years, Unitex has grown to become one of the most reliable and innovative contemporary knit suppliers located in Los Angeles, California. Our success comes from persistent on-going product development backed up by our commitment to strive for great customer service, attention to detail, competitive pricing, quality control and on time delivery. Today, both founders are still actively present in all the day-to day operations of the business and their relentless commitment to the company has shaped a team of dedicated employees. Unitex supplies fabrics to high end contemporary and luxury active-wear brands all over the United States. The vast line of products consists of high-end basics and novelty knits using superior blends of yarn. Our product line of knits are produced per season and made available for sampling. We also develop and produce based on our customers’ needs and specifications. Unitex prides itself in market research and custom product development. This task is achieved by researching market trends along with our skilled technicians continuously developing the latest knits by utilizing innovative yarns and state of the art machinery. As a result, we are able to support our customer’s specific needs and present a fashion forward collection of knits made available for sampling. Unitex constantly seeks new innovative yarns from the most reputable spinners around the globe. Specialty yarns that are developed are textures, knobs, slubs and yarn dyes in variety of blend. The most popular blends consist of Siro Micro Modal, Cotton, Linens and Viscose. Unitex uses the most advanced knitting machinery to produce the highest quality of knits in the USA. Our vast line of machinery includes low gauge, single and double knits, fine gauge, stripes (for full engineering stripes), full electronic jacquard, loop terry, velour and variety of 2-end & 3-end terry. Unitex has a broad knowledge and experience of finishing fabric correctly in order to produce the highest quality of knits. To obtain these results, top class of dyeing machinery and latest technology of frames are use to dye and finish all of the products. Even though we use the latest technology to knit and finish all of our knits, the final inspection is an absolute must! This rigorous task is meticulously performed in our facility by our experienced and dedicated team. All goods are tested from color, shrinkage, torque and finally visually inspected. In addition, all garment dyed goods are dyed to meet our best quality standard. Our showroom is always updated with our latest line of products and open 5 days a week. Please call or email us to set-up an appointment. @COPYRIGHT 2015 . UNITEX INTERNATIONAL. ALL RIGHTS RESERVED.